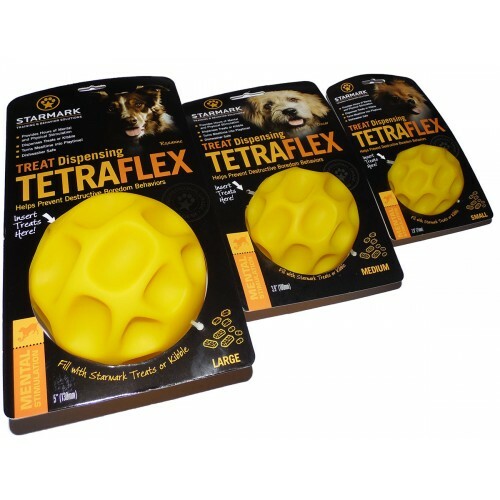 The Tetraflex is great fun for dogs and will keep your them busy while providing mental stimulation. Fill the tetraflex with your dog's favourite treats or kibble and watch as they work to get it out. Can be used instead of a bowl at mealtimes, or just a treat in between. Great to slow down dogs that gulp their food. 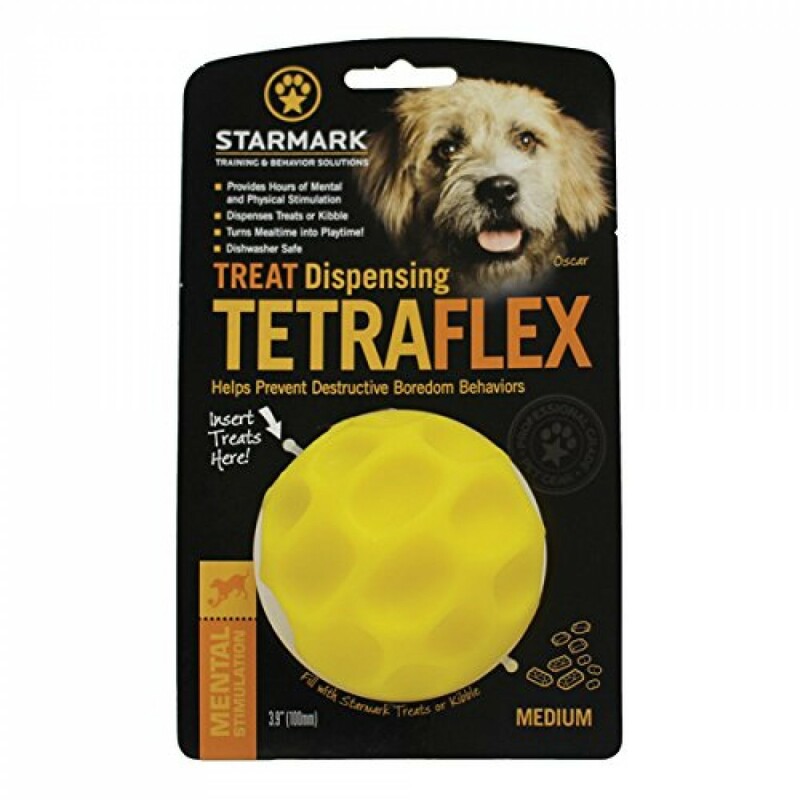 The tetraflex is easy to fill, but a unique one-way sleeve means getting the treats out is more of a challenge for your dog. 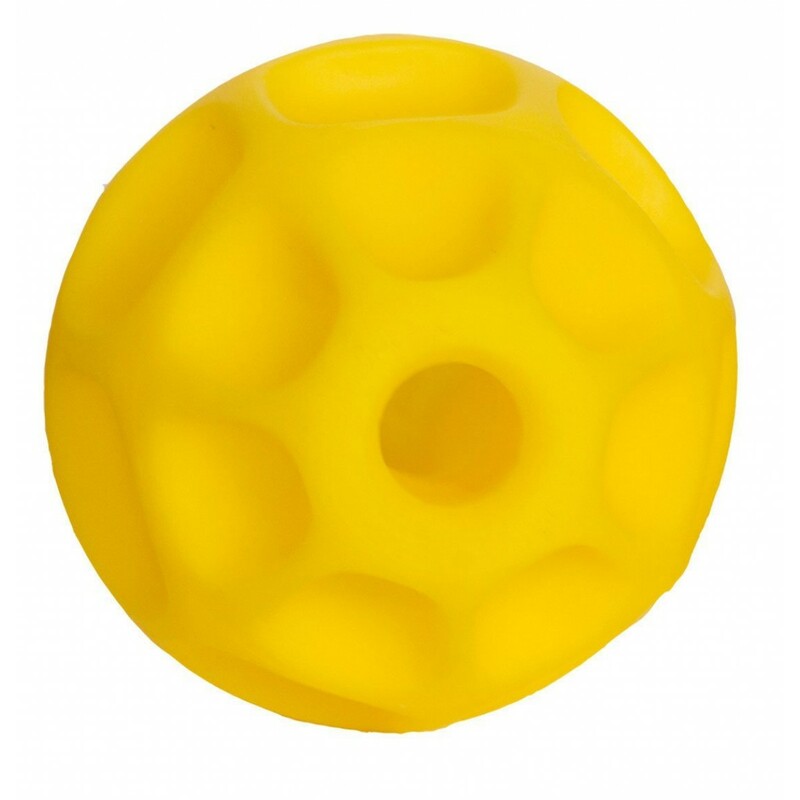 Durable material means it withstands chewing, but is also soft enough to be gentle on gums and teeth. 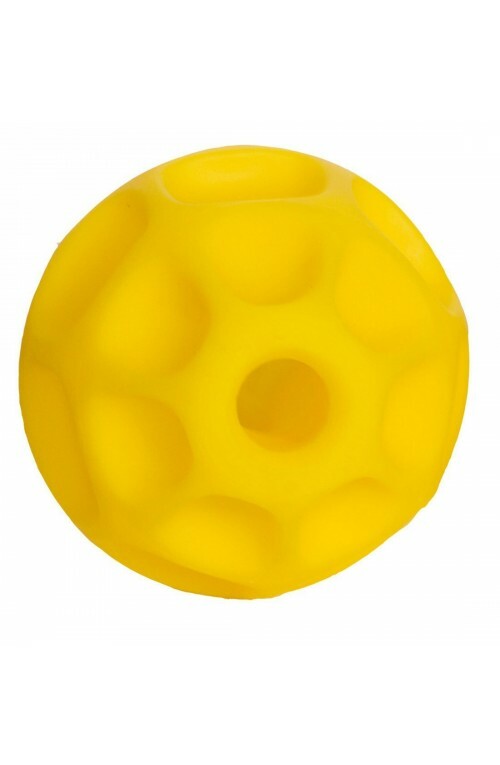 Also makes minimal noise on floorboards and walls. 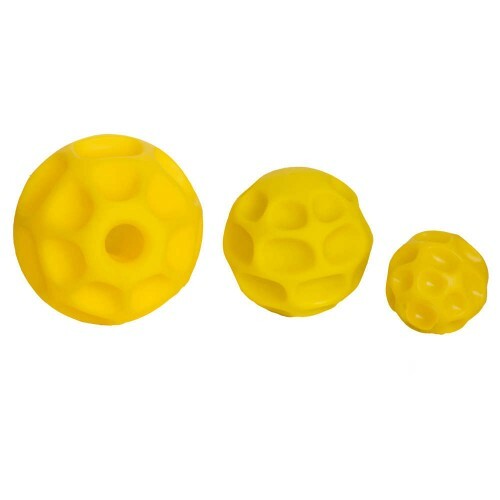 Large: 13cm - recommended for dogs above 18kg.